Row after row of jewel toned macarons lined up by flavor, looking prettier than a Tiffany's case. Pierre Hermé is one of the most famous pastry chefs in the world for a very good reason, not only are his pastries extremely tasty they're also tiny works of art. Macarons here are world renowned for perfection, and exotic innovative flavors like Ispahan a combination of rose, litchi and raspberry, and huile d'olive à la mandarin a combination of olive oil with mandarin orange—although truthfully, the simple lemon was our favorite for it's clean, fresh citrus burst. 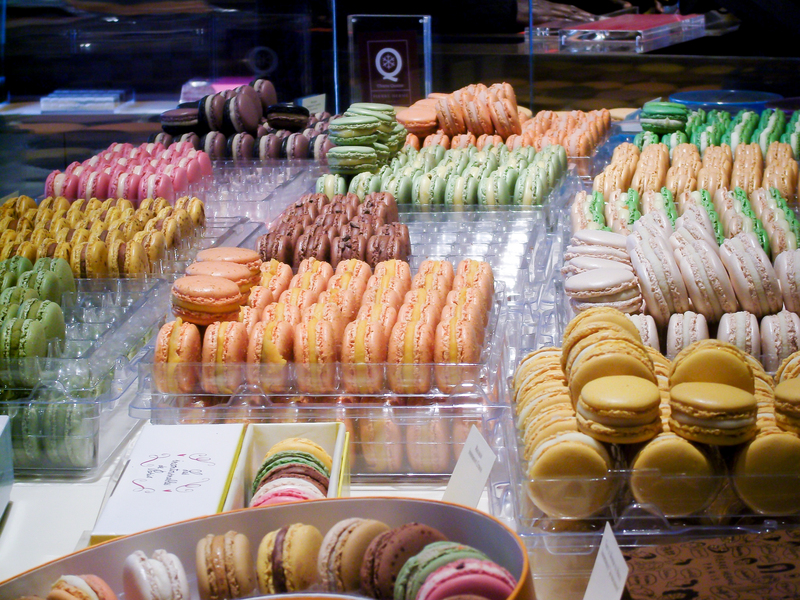 For the true pastry lover there's much more than just macarons to sample. You'll find an outstanding selection of tarts, chocolates, mille-feuilles, croissants, and cakes, each more delicious than the last. It's easy to drop a weeks salary on these tiny delicacies so pace yourself accordingly.